1) What label does your children’s highchair display? 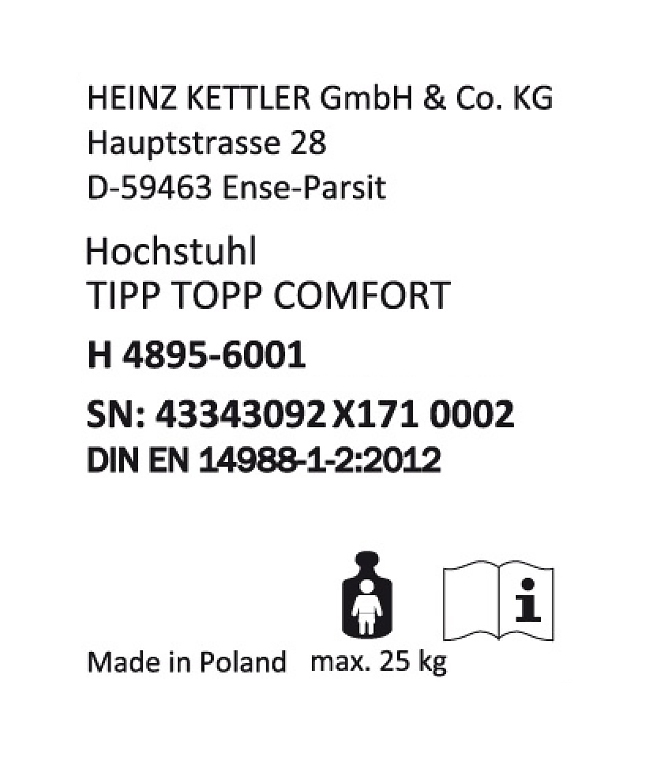 In a few steps you will have completed the inspection of your highchair: our Herlag children’s highchair comes with two different label types, which differ in both design and in the characters of the series- and article numbers. 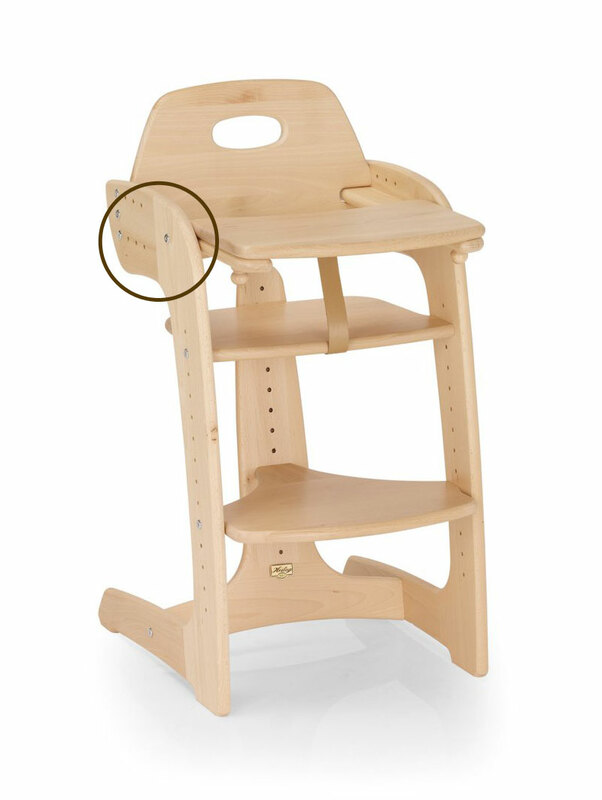 In order for us to categorize your children’s high chair beyond any doubt, please choose the label type which corresponds to the label on your highchair. Where do I find the label? * You can reach us in Germany via a normal landline call; for calls from foreign countries, the foreign prices of your rates apply. 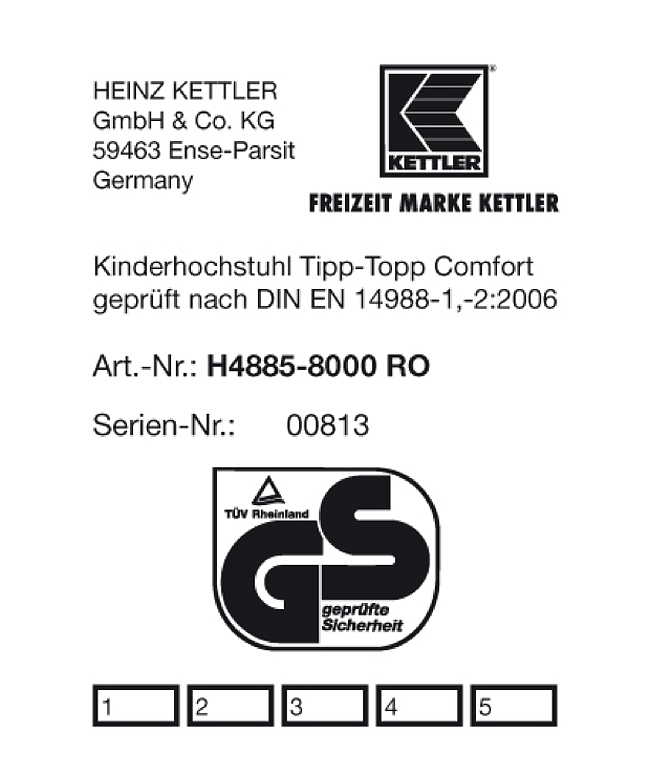 You will find your label, as shown here, on the back side of your Herlag children’s high chair.